It goes without saying these days that if it can come out on Blu-ray, an anime will be released that way. It’s the expected thing, with more and more shows actually going Blu-ray only. There was a period a few years ago when MVM were transitioning to BD, that they were actually selective about what to release in HD, opting to release the shows that guaranteed returns. Typically that meant the shows that I was more interested in went without, as they were aimed more at the niche. 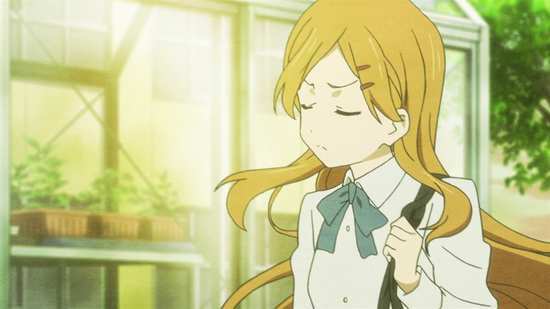 So gradually over the years, I’ve been importing those titles; Kokoro Connect is very much one of them. I loved this quirky, bodyswap show when I watched it on DVD, and it was quite some disappointment that its quality visuals didn’t get the presentation they deserved. So for my second viewing of the show, I’m checking out the Australian Blu-rays from Hanabee Entertainment. 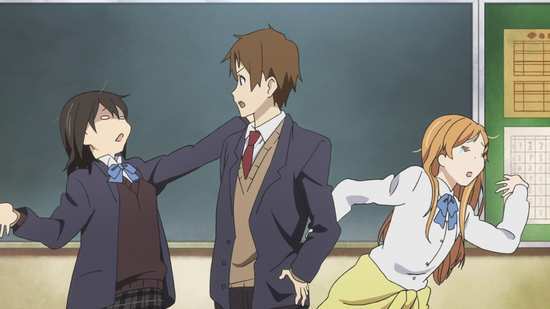 In typical Japanese high school fashion, everyone is expected to join an extracurricular club, but for Taichi Yaegashi (wrestling fan), Yoshifumi Aoki (player), Himeko Inaba (computer club dropout), Yui Kiriyama (fan of all things cute), and Iori Nagase (can’t make up her mind which club to join), there’s no easy fit to any of the school clubs. So they start their own, the Student Cultural Society, which isn’t really about anything at all except hanging out, and producing a newsletter once a month to keep looking productive. Their homeroom teacher, Mr Goto is equally lackadaisical in his approach to his students. Then one morning Yui and Yoshifumi turn up to the club in a state of distress. They claim they swapped bodies during the night, which is the kind of thing you’d dismiss as a prank, or a weird dream, until Taichi and Iori swap as well, right in the middle of the club meeting, and pretty soon they’re all at it, swapping bodies without warning or explanation. It might be fun, for the first few minutes, but it quickly makes for some very awkward moments and a lot of explaining and apologising to do. And then Mr Goto shows up at their club room, to tell them that they’re going to keep swapping bodies, and he’s going to keep observing them as they do so, until he’s satisfied with his observations. 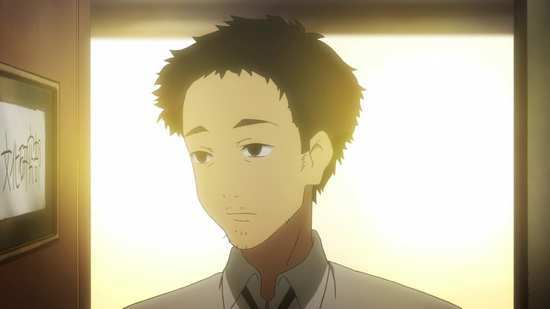 Only he’s not Mr Goto anymore, he’s someone called Heartseed who’ll be borrowing Goto’s body from time to time. They thought they were friends before, but all this body swapping inevitably reveals their intimate secrets to each other, the kind of things you’d never normally tell anyone. It might be therapeutic, or it might just be the worst thing ever. 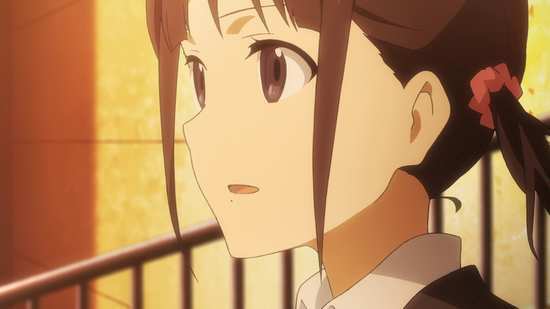 Thirteen episodes of Kokoro Connect are presented across two discs from Hanabee, with the four episodes of the OVA on a third disc. 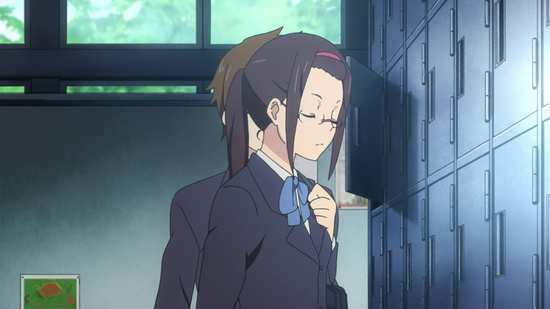 Kokoro Connect gets a 1.78:1 widescreen 1080p transfer on these discs. The image is clear and sharp, bringing the anime across with excellent detail, and at the native frame rate the animation is smooth. About the only thing that might engender complaint is the odd hint of digital banding that is at this point in time standard for anime releases on Blu-ray. 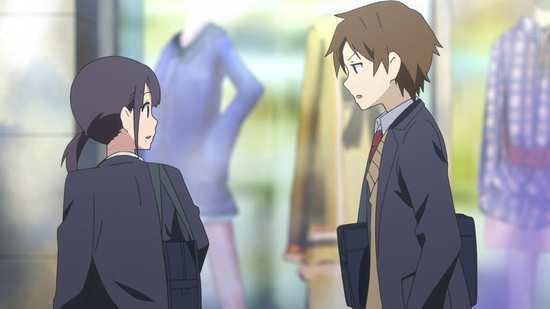 Kokoro Connect is a very pleasing anime to watch, produced by studio Silver Link, but possessing something of a KyoAni approach to its character design, keeping them cute and appealing while distinctive and memorable. The world design is stylishly accomplished and it all makes for an attractive whole. The quality also goes up a degree on top of that when it comes to the OVA episodes. It’s all a welcome step up over the DVD release. You get the choice between DTS-HD MA 2.0 Stereo English and Japanese with subtitles and a signs only track as usual. I went with the Japanese audio and was very happy with the voice actor performances. It isn’t exactly an action filled show, but the dialogue is clear throughout, the music comes across well, and there’s just the right touch of ambience to give the show space. The only issue was with a missing line of dialogue 4:14 into episode 10. It’s a short line, and you can easily infer the meaning. It is there in the English dub though, and that was the only time I checked the English audio to see that it existed. The same problem is present on the DVD release. The subtitles are timed accurately and are free of error. You get 2 discs in 1 BD Amaray (1 disc on a centrally hinged panel), and the OVA disc in another BD Amaray, both cases are housed in a card slipcase. The inner sleeves have the episode listing. The discs present their content with static menus, and appear to be the Sentai discs reworked for Region B. The series extras are on disc 2 of that collection, and comprise 3 textless openings and 3 textless closings, a handful of Japanese promos, and trailers for Hakuoki – Dawn of the Shinsengumi, Hiiro no Kakera – The Tamayori Princess Saga II, Another, and Kids on the Slope. On disc 3, you get the textless credits for the OVA episodes, and trailers for Btooom!, Say “I Love You”, Girls und Panzer, and Another. Why couldn’t I have had an anime adolescence? I had to muddle through like everyone else, suffering those difficult teenage years trying to figure out how to relate to the world and other people. 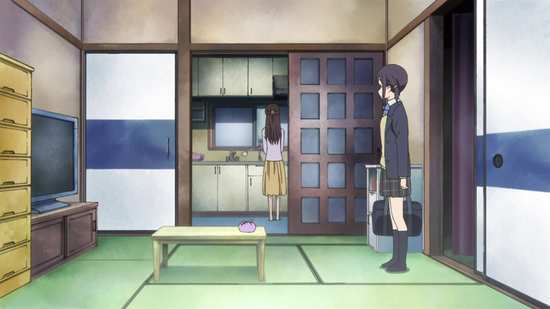 Anime tends to offer short cuts for its teen characters, although those short cuts rarely seem appealing at the time. Mysterious Girlfriend X’s approach to first love offered the intriguing insight into each others’ thoughts that imbibing saliva offered its characters. Accel World offered its characters direct mind-to-mind links through technology to help understand each other. 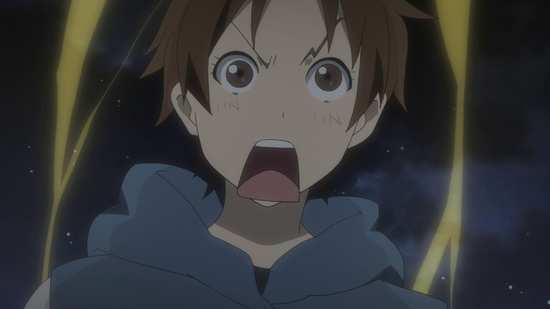 In Kokoro Connect, when a mysterious external agency starts messing with a group of friends for his own gratification, it doesn’t seem to be a positive development, especially when some of Heartseed’s games demand a high cost. 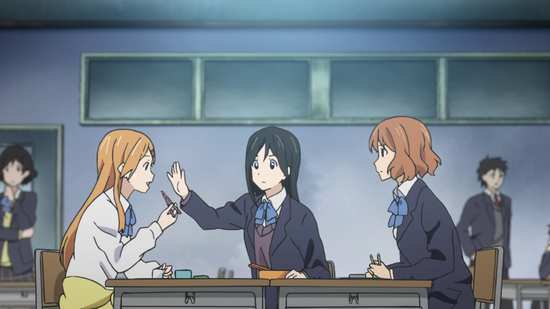 But because of Heartseed’s meddling, the five friends in Kokoro Connect are forced to learn about each other, to learn about themselves, and to be honest with each other. 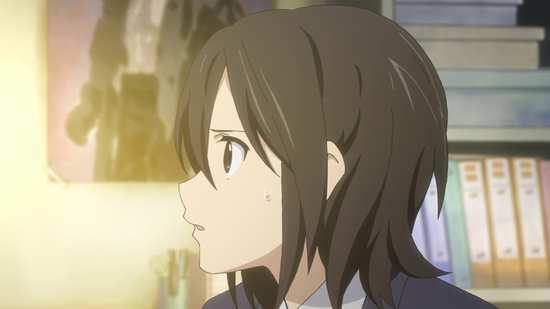 When teenage years can be spent walling ourselves off in self-defence, presenting the face that we expect others to find most agreeable, or simply lying to ourselves about our feelings, I can’t help feeling a little jealous of the characters in Kokoro Connect, who effectively get a fast-forward through that messy period of life, although they certainly don’t avoid the messiness. The initial premise certainly doesn’t portend anything deep or meaningful. When characters start swapping bodies, especially high school boys and girls, you’d expect an anime show to deliver something prurient, and packed with fan service. 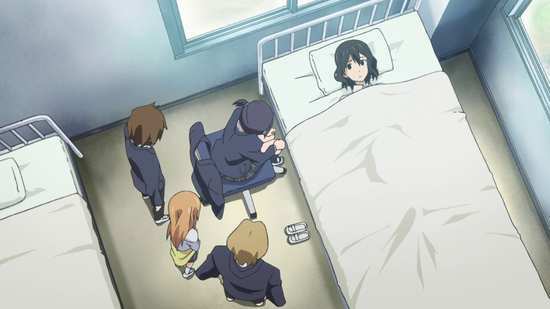 Kokoro Connect doesn’t do this at all. 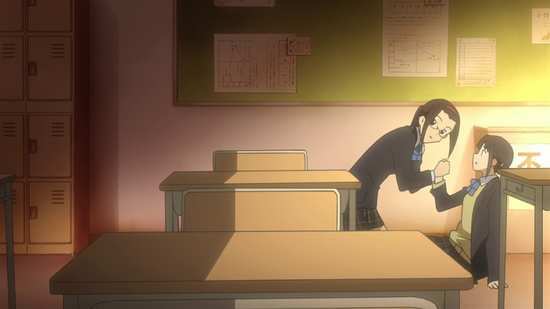 In fact it turns out to be one of the best shows of its kind that I have seen, with intelligent and incisive writing, likeable and engaging characters, and a story that combines the slice of life dynamic that you would expect from a high school extra-curricular club, with no little drama and teen angst. It’s perfectly judged and perfectly paced. The story is about five friends in high school, in a small way the outcasts, if only in that they don’t quite fit into any other club. They’ve started their own Cultural Society, but it’s essentially a place for them to hang out and relax. They’re friendly enough with each other, apt to goof around and have fun, but like so many friendships, they relate to each other on a surface level. They certainly don’t know each other well enough to share their fears or problems. They present the face that they expect the others to see. It turns out that they all have issues, issues that they try to deal with alone, or simply lock away. And then Heartseed shows up, borrowing their homeroom teacher’s body, or whatever body is convenient to communicate his intentions to them. What Heartseed is, is never made clear, spirit, alien, manifestation of a god. The fact is that he’s observing an experiment, using the five friends as playthings, and he wants to be entertained. Heartseed has three distinct experiments to run, and so the anime has three distinct arcs to it. First is the body swapping, then the unleashing of desires, and then finally the reversion to childhood. That’s then followed by a fourth and final test in the four episodes of the OVA, the transmission of thoughts and feelings between the five at random, at the most inconvenient times. You can guess how it’s easy to find out the truth about someone if you’re forced to live in their shoes, for however long a period. Of course there’s no little comedy along the way, awkward situations and the like, but the five have to get rapidly used to impersonating each other. 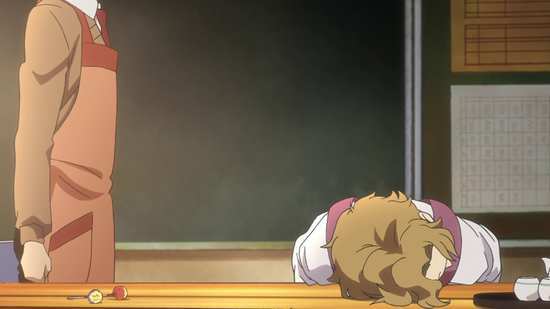 It’s when feelings start bleeding through with the swaps, such as when Taichi swaps with Yui and has an instinctive reaction that is hers, not his, that the first reveal of a personal issue takes place. And we also learn that Taichi is an inveterate meddler, he wants to help, regardless of whether that help is appropriate or even wanted. 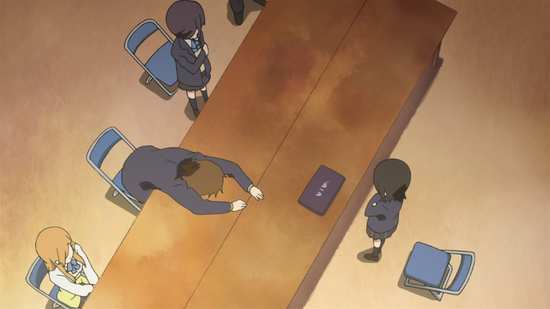 His approach to helping Yui certainly is innovative, but as we learn, it isn’t a permanent solution. When it comes to having their desires unleashed, you might be forgiven for expecting more in the way of fan service again. This is an anime after all. There is a little of that at first, but there is more than one kind of desire, more than one inhibition to lose, and again there is an aspect of playing it for laughs, especially when it comes to the desire for food, or sleep. But the most potent desire of all it seems is to say what’s on one’s mind, to be honest. For five teens that have constructed shells to protect themselves, and protect others from themselves, that could be a recipe for disaster. 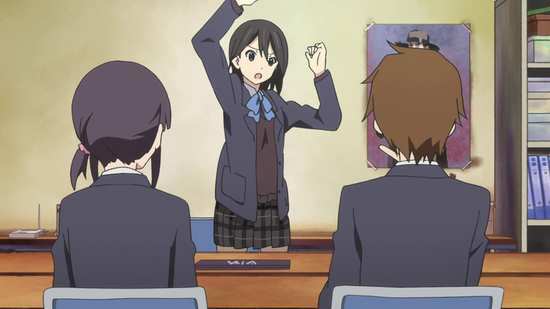 Inaba, the computer club dropout, dropped out because of an attitude problem, and she certainly can be sarcastic and acerbic, but when played at a surface level among friends, it’s more banter than anything harmful. But when she says what she really feels, it can smart. It’s true for all five of the friends, suddenly the playful pokes are no longer playful, and the instinct is to draw back into isolation, to avoid communicating altogether. Of course Heartseed’s rules say otherwise. And when you have three girls and two boys in a group, attraction will come into play, you can’t stop that particular desire for long. They will pair off, and someone is going to get left out. And of course inhibitions lowered and desires unleashed, the friends certainly get to know each other beyond the surface level. But it’s with the third ‘game’ that they truly begin to understand each other. Reverting to childhood means suddenly getting to know your friend as they were five, ten, even fifteen years previously, and while they get a sudden, and useful reminder of who they were, the experiences that shaped who they are as adolescents, the same is true for their friends, learning of the little traumas and events that shaped them, and indeed learning startling truths about each other. The OVA’s four episodes cover the final game, that of the transmission of thoughts and feelings. Heartseed’s new jape inflicts far greater damage to the friends, especially on Iori. It might have seemed that Iori’s problems were solved at the end of the series, but that really dealt with a surface issue, not what has really been troubling her. And it’s that problem which is explored on the final disc. If there is a difference between the OVA and the series, beyond the better production values, it’s that the comedy is toned down a tad, and the character drama becomes a little more important. 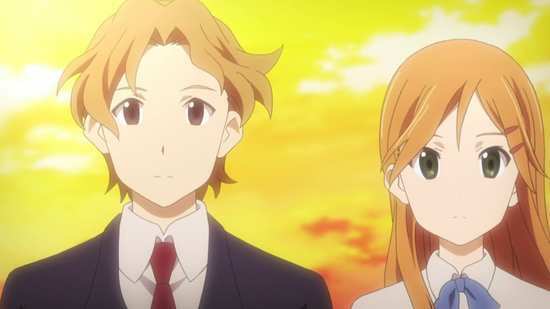 Kokoro Connect is something of a mystery anime, but it’s a mystery that is never resolved in this show. Just who is Heartseed? Why is he doing what he does? What is he after? These questions are all posed by the show, but are never answered. It doesn’t matter really, as Heartseed is merely the catalyst to a great coming of age story. We get to know five interesting, well-written and nuanced characters as they really get to know each other for the first time, and the result is always entertaining, often hilarious, and on occasion heart-wrenching too. 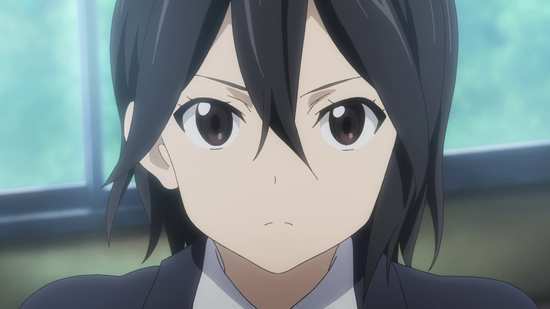 Kokoro Connect is very much recommended. And I have to say that it looks and sounds really quite special in high definition, well worth upgrading those DVDs for.